Fire Prevention and Safety Awareness at Opportunities, Inc. - Opportunities, Inc.
Fire Prevention and Safety Awareness at Opportunities, Inc. Promoting independence and personal achievement is the mission of Opportunities, Inc.’s Adult Day Services. This program offers individuals the opportunity to engage in life enhancing activities while ensuring their special needs are supported. 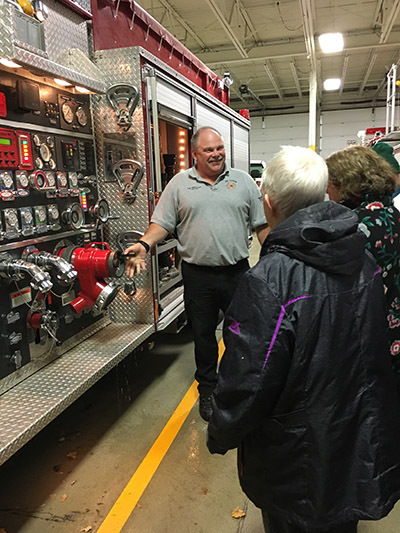 Recently, as part of their annual fire prevention and safety awareness trainings, Opportunities, Inc. teamed up with the Fort Atkinson Fire Department. Fire Chief Daryl Rausch visited the program to share the importance of fire safety, how to prevent a fire in the workplace and at home, as well as what to do in the event of a fire. 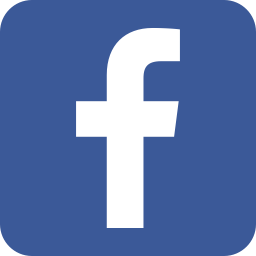 Opportunities, Inc. looks to connect with various community organizations and businesses to expand hands-on learning opportunities and life enrichment services. It’s not only a great experience for the participants to take part in, but it enhances their life skills and independence. The Fort Atkinson Fire Department’s team and knowledge of information for the individuals was very beneficial and commemorative. Opportunities, Inc. ADS participants and staff stand before one of the Fort Atkinson Fire's Department's truck. Captain Tom Gerondale shows the fire trucks components and explains how it works. Patty tries on one of the fireman's helmet!